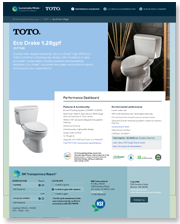 Drive greener purchase decisions by making environmental performance information easy to understand. Leverage your LCA and material health evaluation investments to create credible, standardized, understandable and cost-effective marketing tools – in the cloud. 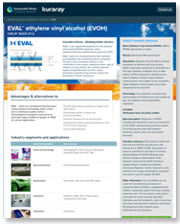 Showcase the functional & environmental performance and material health of your products in easy to understand formats for decision-makers to quickly review to make well-informed greener and healthier purchase decisions. 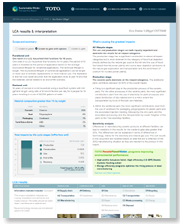 Consisting of 3 easy to understand pages, Performance dashboard, LCA results & interpretation (add a Material Health Overview as a tab in page 2) and How we make it greener. Your product info & data is in the cloud, not encoded in PDFs. Gives your brand and products visibility where your customer is specifying – and to thousands of users worldwide. Transparency Datasheets are accessed in the SM Software data selector – right when and where design teams are looking for new and alternative materials and materials & components. They present functional and competitive product information supported by credible SM Single Score LCA results – without disclosing valuable LCI intellectual property. It's one click to connect specifyers with suppliers. Leverages your material health information to quickly and credibly answer what customers want to know: What is the product made of? Are there any hazardous ingredients? If yes, how bad are they? Are there any exposure concerns? What is the company doing about reducing the human health impacts? 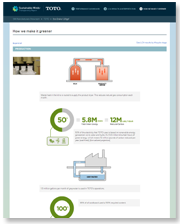 The Material Health Overview can be added to a Transparency Report or is available as a standalone solution. The 'What are the greatest health concerns' section enables manufacturers to interpret, explain and contextualize the technical information in the background report. 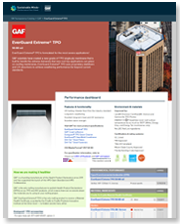 Standardizes the presentation of your existing environmental and material disclosures – from all program operators and all approved material disclosure and rating systems. One page format presents both functional and environmental information. 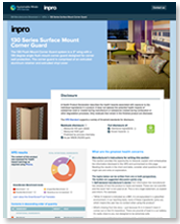 Combines product information, transparency data, and your sustainability and continuous improvement stories. Links to all your existing environmental and material disclosures and presents important transparency attributes simply and understandably. Can also display other sustainability rating systems.